Bollywood Dance Classes: Franchises Available! 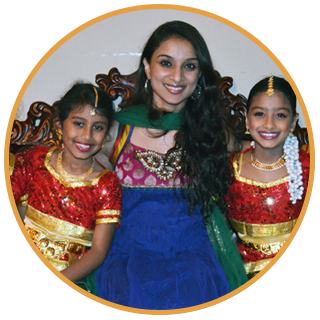 Bollywood dance classes are becoming more and more popular within the United States. We’ve seen in increase in the number of people joining the classes in our schools in Texas, California, and Illinois and now we’re looking for people interested in joining our franchise and opening a Shingari’s School of Rhythm of their own. There seem to be a number of reasons that more people are discovering the joys of Bollywood dancing. To begin with, the internet is helping to introduce more people to Bollywood. YouTube is filled with clips from popular Bollywood films and incredible performances by Bollywood dancers. It’s inspiring people to learn more about the art and get into it themselves. Secondly, it’s a fun way to get into shape without boring classes at the gym. Bollywood dancing is fun, but you’ll still burn calories and gain muscle as you do it. And lastly, it’s a great way to meet new people! If you are passionate about dancing, Bollywood, and introducing people to something new, this franchise could be the right choice for you. You’ll have the years of experience of our owner and operators who have made each branch of Shingari’s School of Rhythm a success, helping to guide your own branch into a thriving center for the performing arts in your city. It’s a lot of work, but it’s also a lot of fun. If you are interested in opening a franchised location of Shingari’s School of Rhythm, get in touch with us today. Just click on the button below to get started! Contact Us About A Franchise Today!